I'm not much of an activist. I've never been one to leave a warm house for a cold street, holding signs or marching, but on Saturday, March 15, I'll be doing just that. The event in New York City begins at 11am in Washington Square Park. If you follow this blog or have enjoyed my pictures over the last couple of years, you know that I have a deep love for Africa and its magnificent wildlife. So when I hear about practices like canned lion hunting, my rage is so intense it's hard for me to think clearly. I'm not suggesting that this is the only danger threatening the survival of lions, or other species for that matter, in fact there are so many things it's a bit overwhelming, but I find the fact that canned hunting is a legal practice particularly egregious. For those of you not familiar with canned hunting, it's where lions are raised in captivity and first used as a tourist attraction (think petting zoo), and then when they're older they're released into fenced areas, with no chance of escape, to be killed by hunters safely ensconced in jeeps wielding high-powered guns or cross bows. To add salt to the wound (no pun intended), most of these hunters don't go for the quick kill (ie. in the head), because it will ruin their pretty trophy, often resulting in a lion's slow and painful death. Nice, right? I can't fathom this on so many fronts, but what I really have a hard time understanding is how some people get up in the morning excited to kill something just for the fun of it. I find it hard to comprehend how they not only condone this fish-in-a-barrel scenario, they want to participate. I also find it hard to stomach the selfie's you see all over the internet of these hunters kneeling over their kills with smiles from ear to ear as if they've just won the lotto. What does that glee represent? Do they pat themselves on the back as if they're victors in some kind of genuine mortal combat? Seems to me that if a two year-old had the money and a gun, it could kill a lion this way too since the poor animal has no chance of making it out alive. Don't get me wrong, if you're genuinely feeding yourself and your family by hunting game – and I don't mean one Saturday night usually spent at Applebees – then your hunting gets a pass in my book. But canned lion hunting is hardly a survival strategy, it's a sick and twisted business that should be abolished. The Guardian reported last year that there were more lions held in captivity in South Africa than exist in the wild. Hello?! Anybody see a problem with that? I sure do. 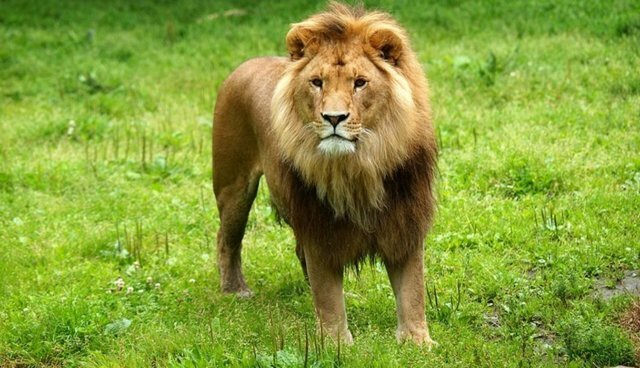 The article also states that lion breeders defend their farms by saying that they support conservation efforts. However, lion populations continue to decrease so I am not sure that argument holds water. When hunters use conservation as a reason for killing, I want to scream. You may ask yourself what are the economic incentives for this practice. I've discussed one revenue stream: hunters who are willing to pay serious money for the pleasure. But lion farmers also make good money supplying lion parts to the Far East for use in traditional Asian medicine. (Side note: this demand also provides incentive to poachers who threaten the survival of African elephants and rhino.) The hunter takes home the trophy's head, and rest of the body is sold to various countries in Asia. Lovely. Two wonderful organizations that are working tirelessly to bring an end to canned hunting are Campaign Against Canned Hunting (CACH), and Roar for a Cause, both based in South Africa. The former actively seeks to reduce the revenue streams that motivate the lion farmers, while the latter, created by Christine Jordan, a single mom from Durban, SA, created the Global March for Lions to support the efforts of the CACH, and other organizations like it. For a good overview of the issues, plus what actions are being taken, please take a few minutes to watch this video with Chris Mercer, the director of the CACH. Get the word out. Share this piece or links from the organizations above on your social media channels multiple times. Use the hashtag #GlobalMarch4Lions on Twitter, Facebook and Instagram.March with us on the 15! To find out about locations near you click here.For Americans: since 55% of canned lion hunters are from the United States, the Global March will have petitions you can sign to help pressure the US Fish and Wildlife Service to list the African lion as endangered. Doing so will make it illegal for hunters to bring back "trophies" to the U.S.A., effectively reducing the number of participants and limiting revenues. If a march is taking place in your city and you can't take part, you can still help by taking a moment to stop by the route and sign a petition.If you're headed to South Africa don't participate in cub petting or lion walking tourist attractions, and please don't volunteer to take care of lion cubs. Lion farmers use these activities as a way to earn money to offset the cost of raising their captives.